DedicatedSolutions advice you to use Plesk 12 as the management tool in our web servers. This web server and website management tool allows you to host multiple websites in a webspace as well as providing many advanced features to automate your hosting process. Plesk 12 is one of our add-on services that you can avail on request. 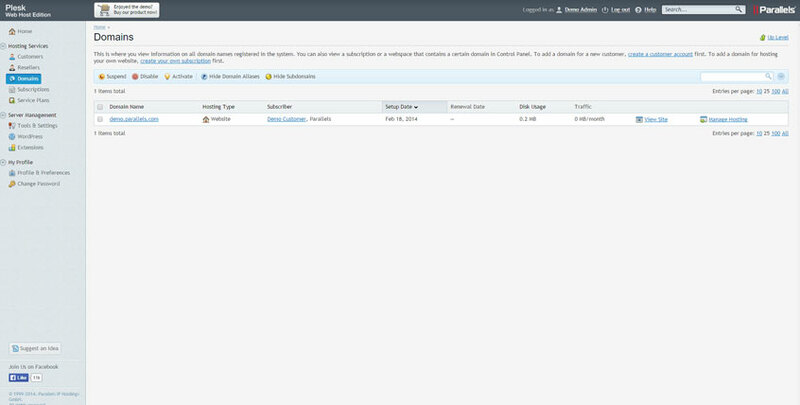 Localizing hosting services are simplified with the built-in multilingual support of Plesk. Plesk provides virtualization support for many technologies such as VWware, Xen, Microsoft Hyper-V.
Plesk supports FullIPv6 dual stack and improves performance of web server with NGINX. It is fully compliant with PCI. 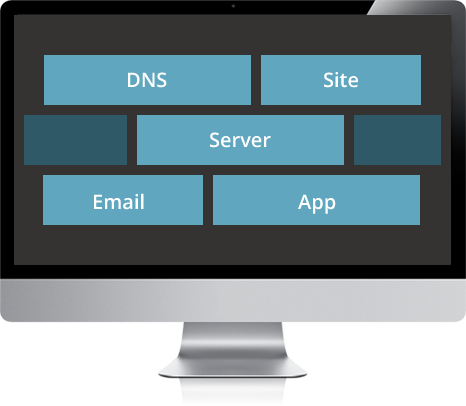 Plesk features built-in server- to -site protection capability to protect your website from any possible attack. This great feature defenses your web server and website from attacks even if you are not an expert in security. The server-to-site protection feature available in the Security core of Plesk 12 is protecting your websites from common website attack to highly advanced hacking. This security feature is able to keep Unauthorized / malicious users away from your website. 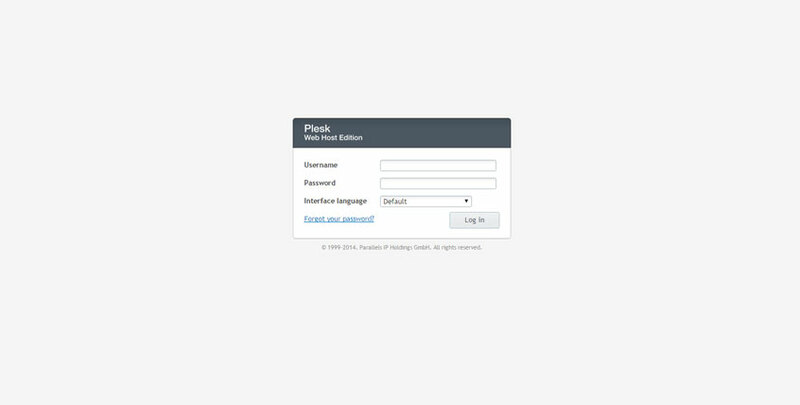 Plesk uses Fail2ban – one of the best intrusion prevention systems in the market – in its security core to protect your website from malicious users. Fail2ban monitors your system and analyze the activities of the users of your website. You can customize the permissible activities and block malicious users automatically. 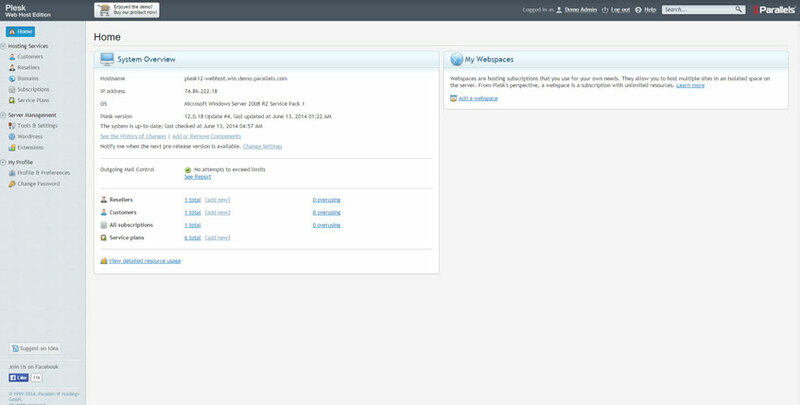 ModSecurity -one of the best web application firewall- is available in Plesk12. It will protect your website from all common website attacks. This Atomicorp product is functioning based on a set of strong security rules. ModSecurity possesses the largest library of security rules in the industry so that it is capable of safeguarding your WordPress website from any possible attack. Plesk has the capability to protect your server’s IP address from listing in outbound anti-spam controls. It means, this website hosting tool has an outbound antispam engine which is able to prevent your webserver from being infected and a prey of sending malicious scripts through emails. Plesk simplifies and automates the webhosting activities that are aligned with your customer’s state-of-the-art infrastructure. This tool is facilitating web administrators and developers offering targeted solutions for the customers. What can you do with plesk? Pleask is providing security and web server management to dedicated/virtual servers irrespective of its size. Premium add-on services such as Atomicorp, MagicSpam, CloudFlar, and Yola offered through Plesk opens a wide opportunity of revenue increase. Anchor features such as WordPress toolkit, Fail2Ban, and server-to-site protection helps web administrators to provide better service to the target specific audience. 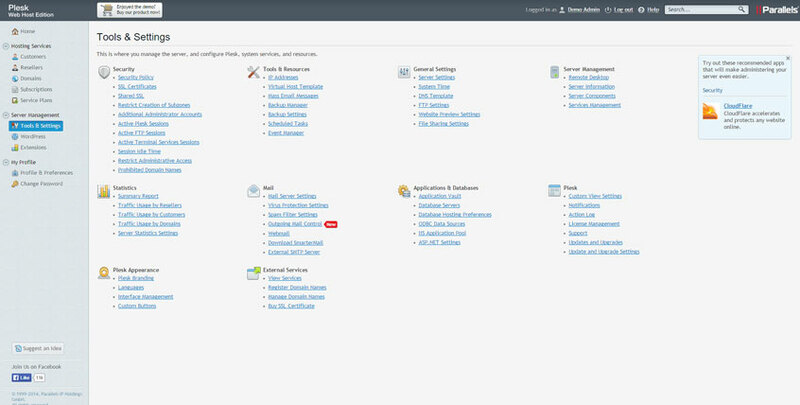 Simple web interface for database configuration, installation of web applications such as WordPress, email management capability, subscription and plan management ability makes Plesk the pet tool for web administrators.